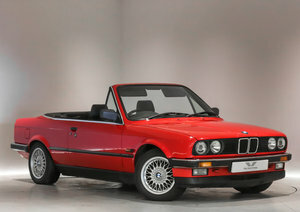 Sale due to travel - a 1989 325i Converible (F Reg) with 93k miles in excellent condition. 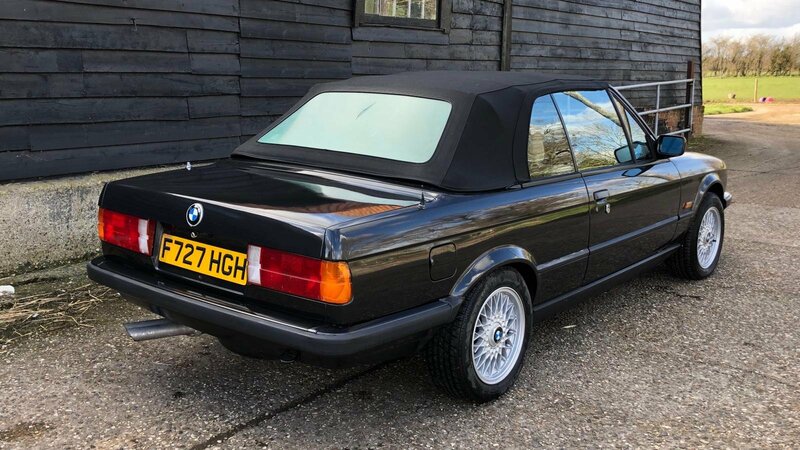 This 1989 E30 BMW 325i convertible in Black with cream Leather is in very good condition for its age with an MOT until July 2019 and a low mileage of 93,500 miles. 8 former keepers. 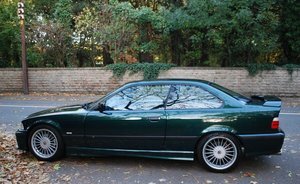 previous MOT's and bills dating back to 1996, including a large bill/invoice file, including original book pack and manuals. 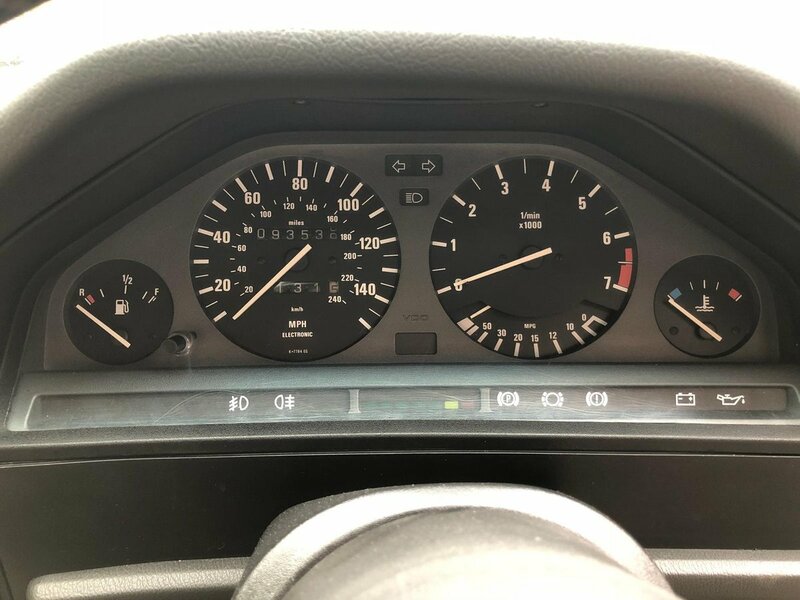 The service book dates from March 1989 with some history to present some bills from the first owner which goes up to 45,000 miles, some current bills with recent work including cam belt, suspension and exhaust, brakes. 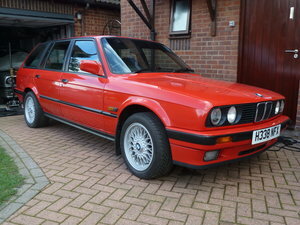 It is fitted with recent tyres and refurbished wheels. 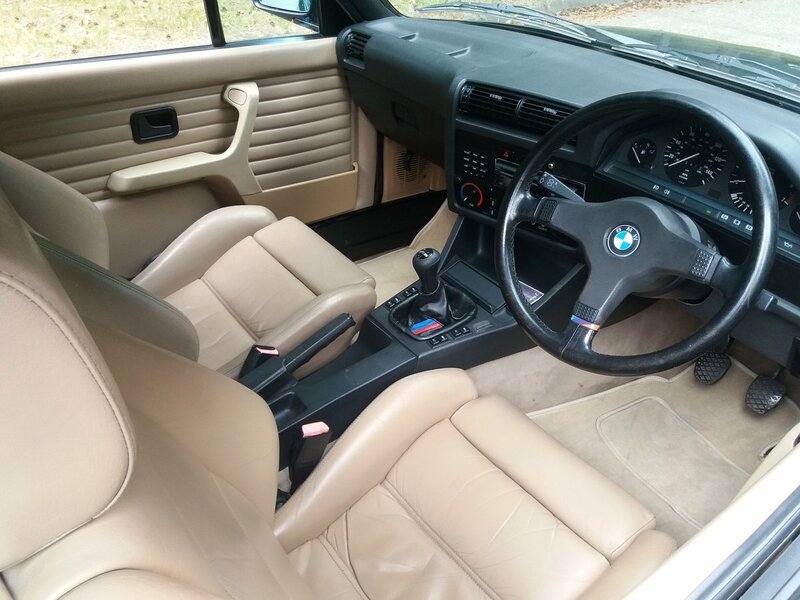 The car shows minimal wear to the interior. 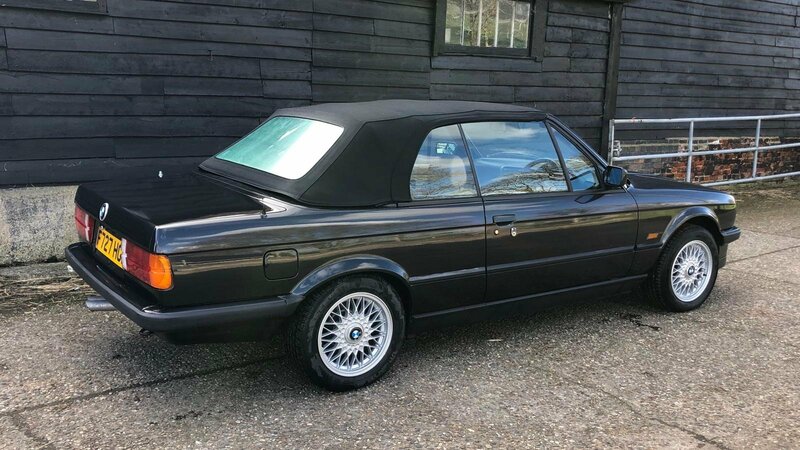 The exterior represents good condition for a 28 year old car, and the roof is in good condition. 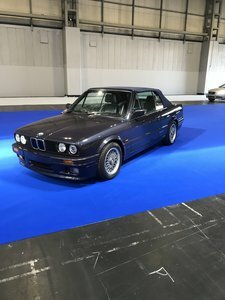 It under went most of the mechanical work in 2016 including many original parts. 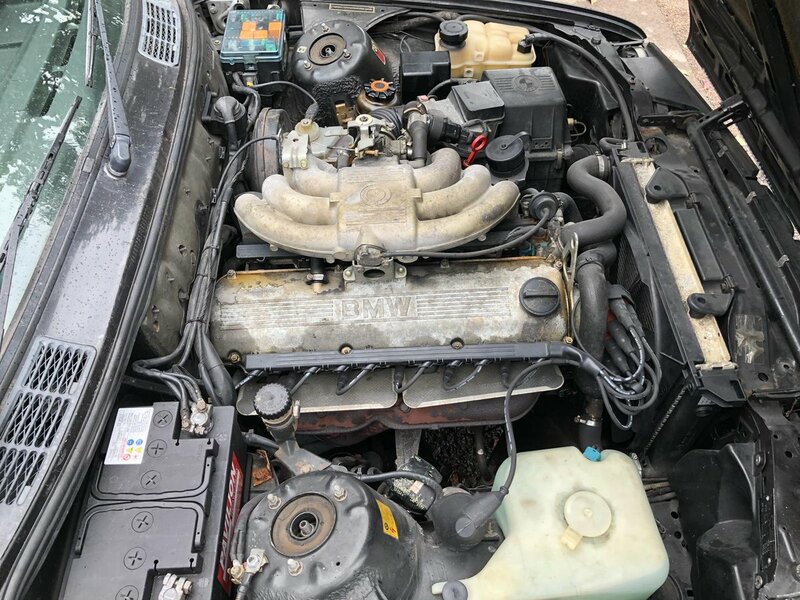 - Fresh mechanical service done this month (February 2019). 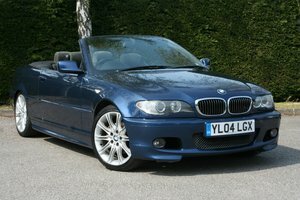 - Original leather sport seats. 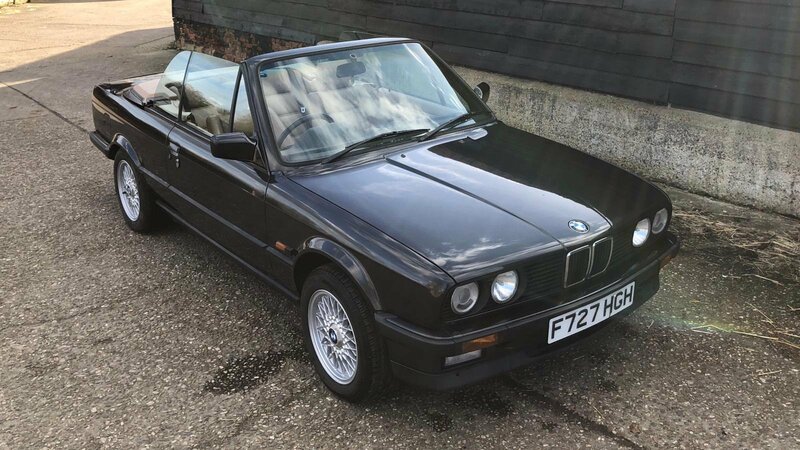 - FULL Service History / FULL MOT History. 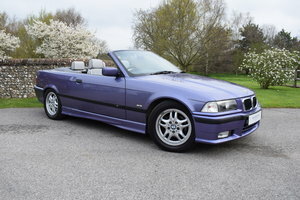 I bought the car to enjoy it on nice sunny weekends but due to a change in my work circumstances where I have moved overseas I now need to sell. Car has been dry stored.